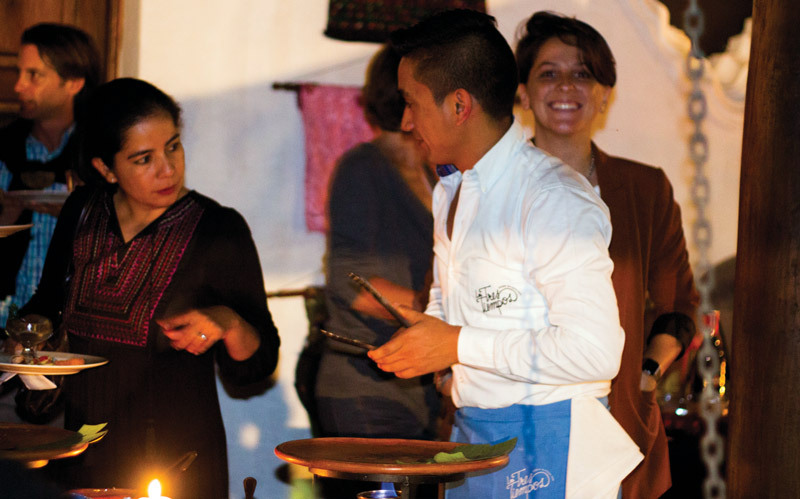 Over 70 Guatemalan businesses have stepped up to support Fundación Namaste Guatemaya. 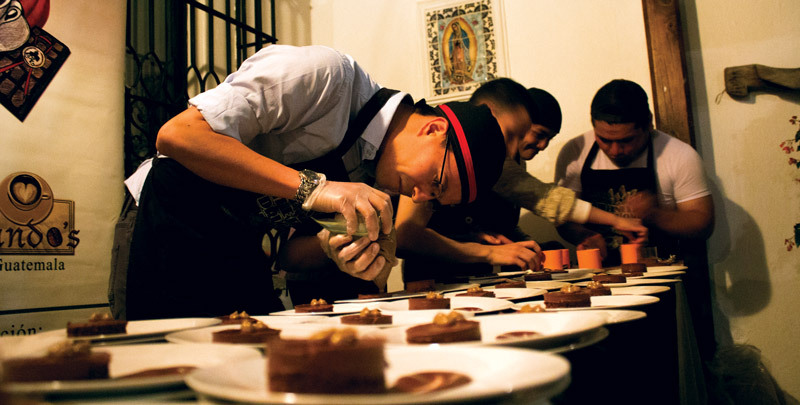 The annual event fundraiser theme is “Businesses Helping Micro-Businesses” and this year the special night will be on Wednesday, Nov. 9, at Casa Convento Concepción (4a calle oriente #41, La Antigua Guatemala) at 6 p.m.
Cafe Fernando preparing their custom-made chocolate creation, only available at Namaste’s event. This fundraiser has a unique and engaging concept. More than 10 Antigua restaurants have agreed to generously donate a delicious sample portion of their food at the event for our donors, and over 50 local businesses have contributed to the super deals available at the silent auction held during the event. Last year this same concept was a big success for all who participated. 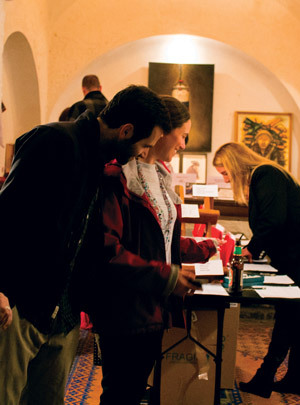 Local businesses loved contributing, and the donors loved the food and auction deals. This year we aim to double participation, and to accommodate the crowd we have moved to a larger location provided by our sponsor, Casa Convento Concepción. Café Fernando proudly shines with their desserts at the Namaste fundraiser. Returning restaurant sponsors that will provide scrumptious samples are Como Como, Tres Tiempos, Angeline, Café Condesa and La Fonda de la Calle Real. 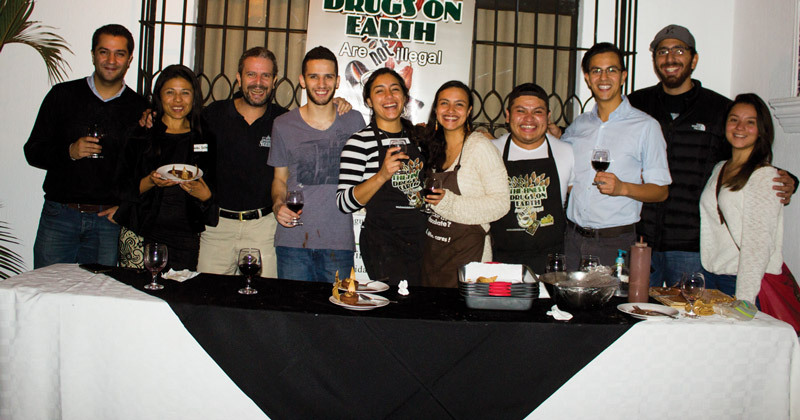 Ilegal Mezcal, Rainbow Café and M&M Events (Micho’s Gastro Pub) are contributing specialty drinks. To top off the night, Fernando’s Café will make a special chocolate dessert. 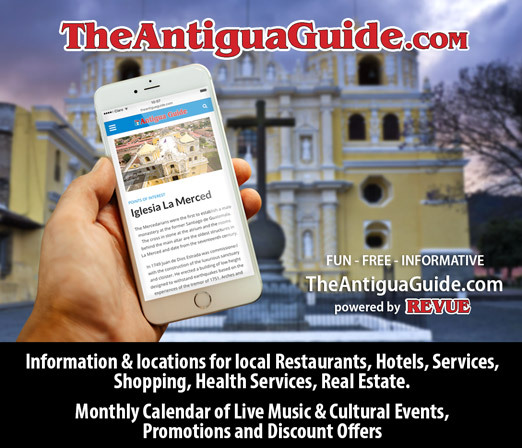 New restaurant sponsors include Antigua newcomers Montagu and O’Tapas, Pappy’s BBQ as well as longtime Antigua favorite Welten (employee owned) and the very special Mesón Panza Verde. Returning silent auction gifts and sponsors include a yoga package from Yoga Antigua, a luxurious couple’s massage from Ceiba Porta Spa, Antigua Canopy Tours, Ecofiltros, Hola Expat tax packages, Jade Maya jewelry, Golden Studio hair salon certificate, a beautiful scarf from Kakaw designs and gift baskets from Yogi-Superfoods and Fernando’s Café (chocolate and coffee). New auction sponsors include K Marina Designs (handmade leather goods, made with care, made to last) from the talented Kendra McLaughlin, and Tierra & Lava (luxury, ethical, vegan skin and hair care). Returning hotel and meal package deals at the auction are from Sor Juana Boutique Hotel, Earth Lodge and Lush Atitlán in San Marcos La Laguna. New hotel and meal packages include the spectacular Villas B’alam Ya and the Iguana Perdida in Lake Atitlán, Paredon Surf House at the beach, Pensativo House Hotel (part of Porta Hotels) and the new and unique Good Hotel Antigua (a “profit for non-profit” boutique hotel that gives its profits to the local NGO Niños de Guatemala). Returning artists include well-known locals JP Canale, Pierre Turlin and the Arte de Amigos volunteer group. We are privileged to additionally feature a watercolor from John Maxon (his work can be found in Café Condesa), as well as two new and exciting local artists, Kurtis Brand and Erica Flaschberger. And that is not all. The businesses listed above are a partial list of supporters. 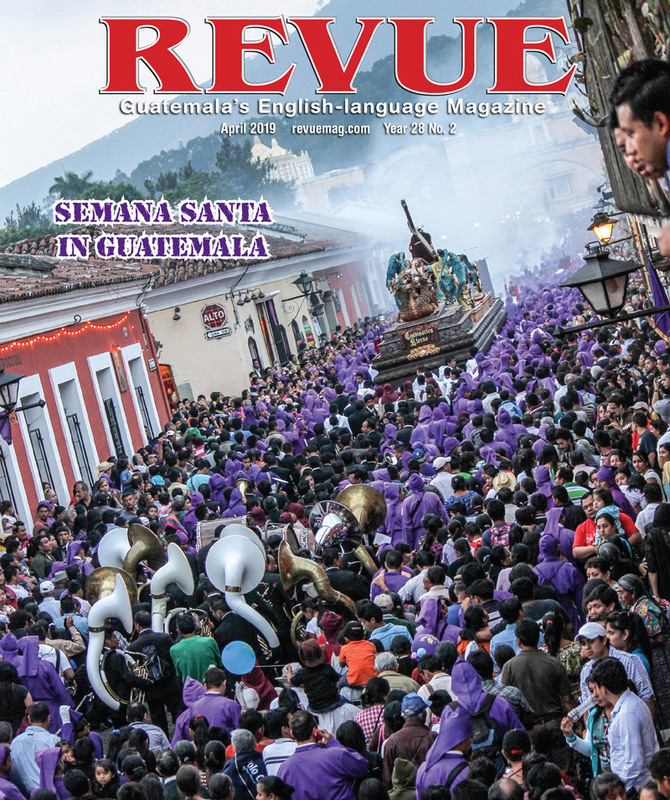 As this edition of Revue goes to print, we are still soliciting creative and wonderful donations for the auction. Although Namaste does raise some cash contributions from businesses, the current environment is that many supporters are reluctant to give cash – or worse have been burned by the bad experience of an NGO misappropriating funding. Here is something that boggles my mind: with thousands of NGOs working in Guatemala, sadly the poverty rate rose here in 2015! How is that possible? Are NGOs making a positive difference here? Namaste is different. We have gained a reputation as an NGO with results. In our 11-year history we have served 3,276 indigenous women with 4,641 loans. Our repayment rate is 93 percent. Graduates of our loan program more than DOUBLE their income and are eligible for up to three more consecutive loans (all with more financial education classes and personalized mentoring sessions). Local businesses loved contributing, and the donors loved the food and auction deals. “Businesses Helping Micro-Businesses” on Nov. 9 is an ideal opportunity to combine several goals: do some early holiday shopping while supporting local businesses, support Namaste and enjoy a special night with friends. Don’t miss this one of a kind creative night! WHAT DOES THE TICKET INCLUDE? : Tickets include one complimentary drink ticket and one round of restaurant samples. Additional drinks can be purchased. All profits for the evening will go to Namaste.